Dream life or reality show? you are likely to hear the very same answer from everyone. Next . . . you meet the business owner and ask, “How does your business fit into your life?” Not only do you get a clear answer, but it is delivered with excitement, happiness and appreciation! Second, personal goals: how do you want to live your life? Most people find the business goals easier to develop – they have a greater frame of reference and understanding for them. These goals are easily established, but difficult to track and adjust accordingly. It takes more than a budget to rally a team to be high achievers. In the restaurant business, those goals include revenue growth through PPA, guest count, to-go and catering, profit growth through cost management and purchasing, and cultural growth through training, service measurement, and employee retention. The most significant aspect of owning a small- to medium-sized business is you get to choose how to live your life. This is where the second set of goals comes in. Most people do not feel they have options because they work for an employer who has a huge say in how, when and where their work will be done. Vacations are counted in weeks, and someone is looking over their shoulder the whole time they are at work. People who do not have the freedom that business owners have often long for it and envy this flexibility. But if they are envied, why do so many business owners not take advantage of the flexibility their lives offer? As your business grows, and produces leaders and cash flow, well-balanced business owners start imagining what they want their life to look like. Then they work to create that. I have multiple clients who are actively practicing work/life balance. One has gotten out of the day-to-day detail of their business to focus on the things they enjoy the most, like networking and creating opportunities. Another wants to transition from operating their current businesses to solely working on developing future units. Still another wants more time with their family and the ability to take off whenever that feels better than going to work. Everyone is different, but everyone has the chance to scan their own bar code on their ticket. 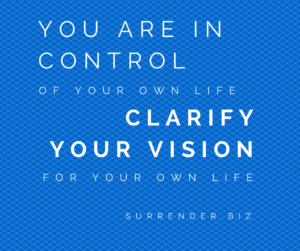 You are in control of your own life. If you are not clear about your goals and what you want your life to be like, you are missing out on something that most people dream about. It is within reach for you. Start now.